We are a leading supplier of Phosphor Bronze Alloys Sheets. We are one of the leading organizations engaged in offering Phosphor Bronze Sheets to the clients. These sheets are fabricated using the high-grade raw material, which is sourced from the reliable & trustworthy vendors of the market. Specifications. We manufacture & cold roll them as per varying grades, compositions & sizes maintaining adequate mechanical properties & bend test conformity. Mafatlal Rajesh Kumar & Co. 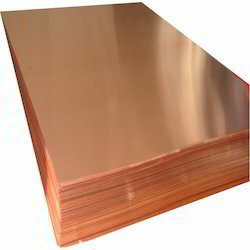 Product Description: We are engaged in offering high quality range of Phosphor Bronze Sheet to our esteemed customers. We are offering Phosphor Bronze Sheet. India Trade Link Pvt. Ltd.
We deals in phosphor bronze rods . We are prominent organizations engaged in supplying & exporting Phosphor Bronze Sheets to the clients. Ardh Metals & Alloys Pvt. Ltd.
Exporter, Manufacturer, Supplies High Quality of Phosphor Bronze Sheet.